Home is the best place to be, and none of us wants to think of the day when we can no longer manage remain in that home anymore. The staff delivering Beacon Support’s South Brisbane Health Care Services believe that you have a fundamental right to continue living in your home even when managing that home becomes challenging. Our organisation has provided top quality home care and support for the aged, frail and disabled for more than 17 years. We also offer rehabilitative and palliative care as well as carer respite. Our support agreements are flexible. We can offer you support of just a couple of hours per month or 24/7 care and support depending on your needs. The Australian government provides home care subsidies for qualifying Australians. The size of the subsidy is dependent on the need. Once approved for the subsidy, the funds are paid directly into your account and you get to choose the service provider and the support services that you require. You also get to choose the timing and the quantity that you require. Most people receiving government funding for the provision of home care will have to make a co-payment. The size of your contribution will be determined by a means test. The amount that you will have to pay will be the same no matter what level your approved package is. If you cannot pay you can apply for financial hardship support to have your portion reduced. If you choose to appoint Beacon Support as your service provider, the staff providing your South Brisbane Home Support Services will take the time to get to know you. They’ll help you with advice and support. Your choice of services should support your lifestyle goals, interests and hobbies. We’ll be guided by these and your budget in designing a care package tailor made to your needs. 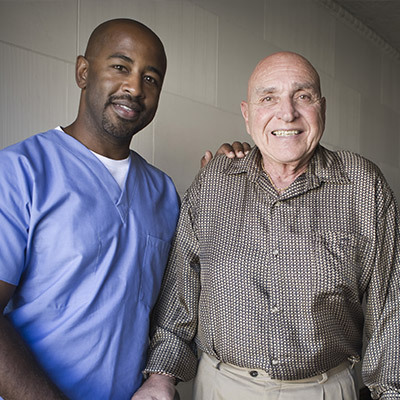 Selecting the provider of your home care package is one of the most important decisions that you will ever make. The quality of the support and the care that you receive will depend entirely on the commitment of the service provider to quality home care. Our South Brisbane Home Support Services have built a reputation for professional home care and support. Our carers are carefully selected and trained. We’ll match you with the skills and personalities of the team that will work with you. This is because we understand that it is important for you to build a caring relationship with the person or people that will form an essential part of your family support system. Contact us today for first rate South Brisbane Home Care Services.